Osteoporosis is a serious condition that’s responsible for 2 million broken bones in the United States each year. And as the American population ages, this number is expected to rise to 3 million by 2025. At Arthritis and Rheumatology Center, Tony Makhlouf, MD, FACR, specializes in helping his patients avoid this outcome through innovative injection treatments and preventive care. If you’re in Simi Valley, California, or the surrounding area, and you want the best in osteoporosis care, call or book an appointment online. Osteoporosis causes your bones to lose density, and your body isn’t producing enough new bone to make up the difference. As a result, your bones become porous and brittle and, most importantly, easily susceptible to breaking, In fact, in the advanced stages of osteoporosis, a simple misstep or sneeze can cause a fracture in your weakened bones. While osteoporosis can affect anyone, especially as you age, white and Asian women are more prone to developing the bone disease, especially after menopause. While many may think that bones are inanimate objects that provide support, the fact is that your bones are living tissues that repair and grow throughout your life. As you get older, however, your bones don’t regenerate as they once did and they’re unable to keep up with the loss of mass that comes with osteoporosis. This explains why more than 54 million people in the United States have some degree of bone loss and osteoporosis — they’re simply succumbing to an inevitable side effect of aging. The fact that more women suffer from osteoporosis stems from the drop in hormone levels after menopause. Estrogen contributes to bone health and when production falls off so suddenly, your bone health can suffer at an accelerated rate. If you’ve been inactive or you’re overweight, this will likely contribute to the severity and speed with which your bones begin to weaken. Conversely, if you lead an active life, you’re more likely to hold on to bone health longer. The main concern with osteoporosis are the fractures that can result from the condition. If you consider that your bones aren’t regenerating as they used to, it’s easy to see why any fracture can be very serious. And because your bones don’t bounce back easily, you’re more prone to infection, especially if you need surgery. 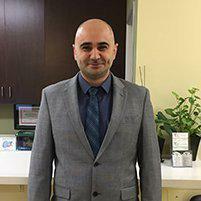 While there’s very little Dr. Makhlouf can do to turn back the hands of time, there is much he can do to prevent the complications that often accompany osteoporosis. Dr. Makhlouf first starts with a bone density test to assess your degree of bone loss. Dr. Makhlouf administers the medications mentioned above, bisphosphonates, using an advanced intravenous technique, which eliminates the need for oral medications. While some degree of bone loss is inevitable as you age, you can slow down the loss and avoid the complications of osteoporosis with medical help. Call Arthritis and Rheumatology Center to learn more, or use the online booking tool to schedule an appointment.